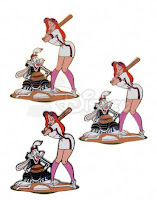 Jessica isn't just a singer, she can play a variety of sports. 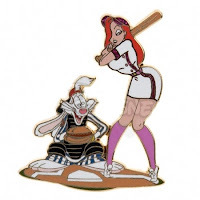 This pin shows her playing baseball, with Roger Rabbit as the umpire. Jessica is in a short white dress with a maroon glitter filled stripe up the side and on her sleeves. Her hat is also glitter filled. 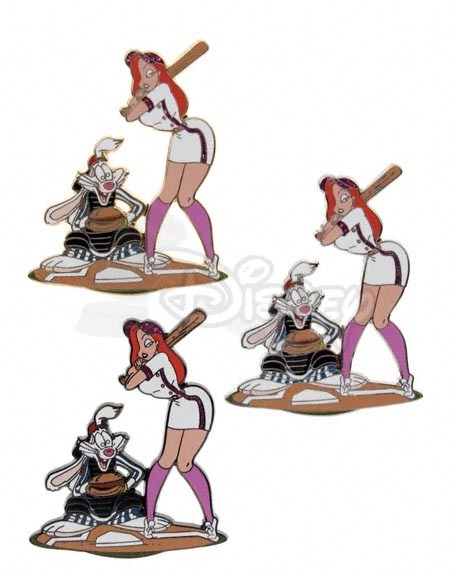 25 of these pins were sold separately, and the other 75 were sold as part of the set. There may be unauthorized copies of this pin being sold. 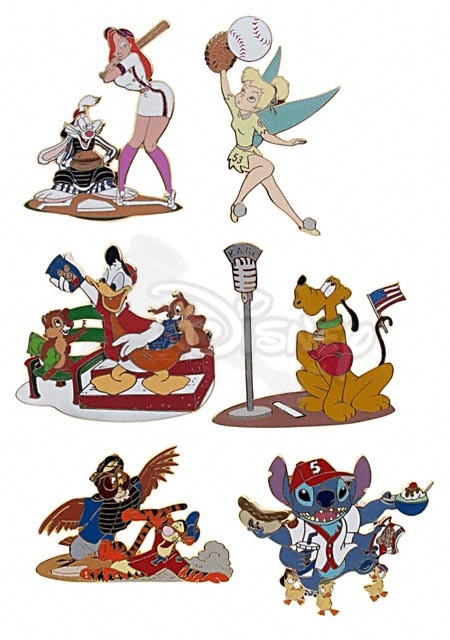 The pin was also offered as a one-of-a-kind Artist Proof in gold, silver and black metals.